Online clothing shopping has come a long way since its start. Today many sites provide options not found in stores, along with detailed pictures, sizing, and reviews. Additionally, some websites will also offer free shipping and returns. This is going to allow you to take all the hassle out of buying clothes without trying them on. In this list of the best clothing websites, we have collected the best of the best in online clothes shopping and have detailed them for you below. 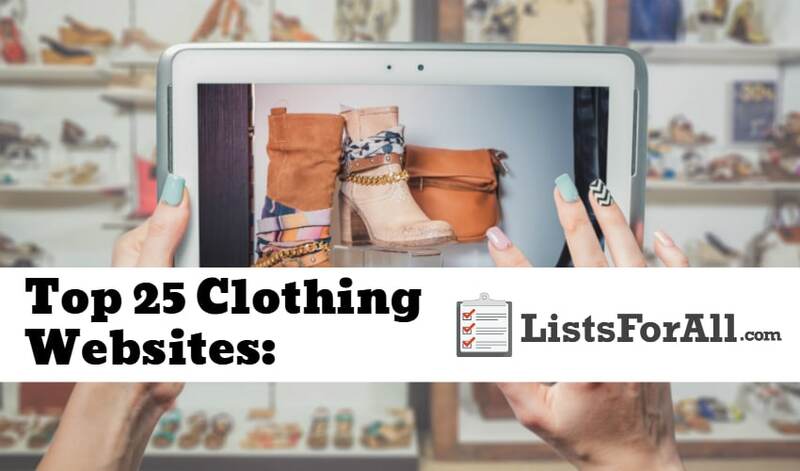 No matter your budget or style, there is sure to be a website on this list that features high-quality clothes in keeping with your fashion sense. And, to go along with all of the new clothes you will be buying, check out our list of the best fashion blogs for styling inspiration. About Clothing Website: ASOS offers both women’s wear and menswear. It is also the UK’s largest independent online fashion and beauty retailer. Orders over $40 qualify for free shipping and standard shipping is just $4. ASOS also offers free returns, making shopping hassle-free. 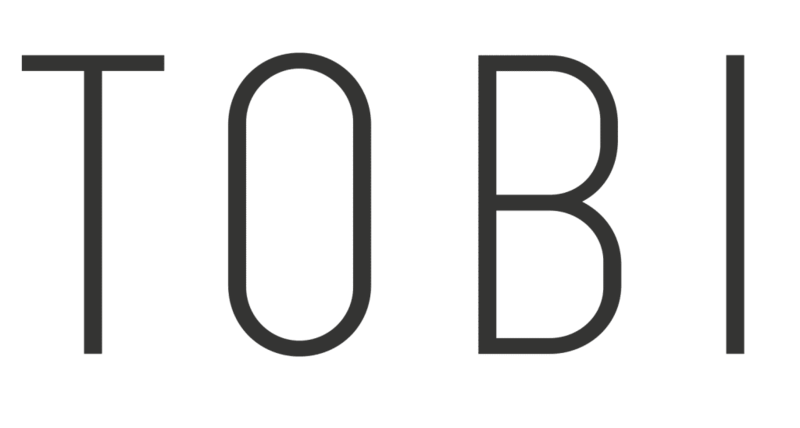 About Clothing Website: With new clothing added every day, the women’s clothing site Tobi keeps things current. The California based company also offers free shipping within the US. Women looking for unique, one of a kind clothing items should check out Tobi. About Clothing Website: Featuring a variety of styles and sizes, the women’s wear site Sophie and Trey are known for their dresses and reasonable prices. Shipping is also free in the US. If you have a special occasion coming up, and don’t want to spend a lot of money on clothing, be sure to visit Sophie and Trey. About Clothing Website: As one of the best online shopping sites, it shouldn’t be a surprise that Amazon also offers a great shopping experience for clothing and fashion as well. Whether you are looking for the latest fashion trends or a uniform for work, Amazon Fashion is going to have everything that you need. Also, with such a high volume of shoppers, they can offer deals that some of the other smaller clothing websites aren’t able to. About Clothing Website: Saved by the Dress’ mission statement is simple, “to offer the cutest and high-quality clothes at an awesome price.” Based out of Miami and with new arrivals coming in every day, you will be able to stay stylish and on top of the latest fashion trends, as well as the classics. With priority shipping, you could be wearing the cute dress that you just ordered within 2-3 days. So if you need something last minute, Saved by the Dress will have you looking your best in no time flat. About Clothing Website: With designs coming from the in-house style team based in Los Angeles, JustFab is going to allow you to stay on top of the latest fashion trends. They will also allow you to highlight your unique fashion. Their collection of dresses, shoes, tops, handbags and more will allow you to find what speaks to you. Also, with sizes ranging from XS to 3X, no one is going to be left out. JustFab also offers a VIP Membership that offers more savings and provides a personalized boutique explicitly designed for you. About Clothing Website: Obviously more than just clothing, Target does a great job in the clothing industry as well. Providing great looks at a quality price; you can trust Target as one of your go-to shopping sites when it comes to clothing. With free 2-day shipping on orders over $35, you will be able to get your order from screen to closet quickly and cheaply. With Target brands and other great name brand clothing, you will be able to shop all of your favorites. About Clothing Website: Enjoy wearing name brand clothes but don’t like paying the name brand price that comes with it? Well then Get the Label may be the perfect fit for you. They offer all of the designer products but at a much more reduced price. Offering menswear, womenswear, and childrenswear, you will be able to keep yourself stylish while saving money. 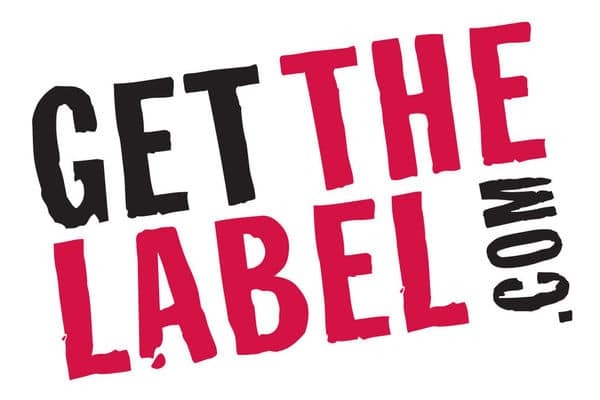 Check out Get the Label and start saving on your favorite clothing brands. About Clothing Website: Yoox is going to allow you to be your own fashion expert. Their site provides an “extensive assortment of hard-to-find clothing and accessories for men and women from the world’s most prestigious designers.” Yoox encourages you to create your own sense of fashion and to find pieces that speak to you. With new arrivals, classics, and sale items, you are going to enjoy your online shopping experience with Yoox. Yoox also offers free standard shipping on orders over $100, so you will be able to save on shipping as well. About Clothing Website: Designed to be both stylish and great for movement and activity, Athleta is the clothing brand for active women. With the belief that being active has benefits that carry over into other areas of life, Athleta doesn’t want your clothing to keep you from being able to be active. So whether you are looking for workout specific clothing or a great outfit for everyday use, Athleta is going to provide everything you need. About Clothing Website: Known for its online shoe shopping, Zappos also offers a great selection of clothing as well. With clothing options for women, men, and children, there is something for everyone at Zappos. Also, with a lot of the top brands featured on Zappos, you will be able to shop your favorite brands as well. Add in the sale items and the Zappos rewards program, and you have struck online shopping gold. About Clothing Website: You may have experienced a local consignment shop before, but most likely nothing like ThredUp. With ThredUp you can purchase gently worn second-hand clothes at a fraction of what they would cost new. You will look great and know that you saved big. With like-new arrivals coming in every minute, you will be able to always be on the hunt for great deals. Also, if you have some gently worn clothing that you are no longer wearing, order a “Clean Out Bag” and start earning a little cash for yourself. About Clothing Website: With a passion for providing fresh looks and fabulous dresses at an excellent price, DressUp was started in 2009. Today they are online helping women everywhere look beautiful in their dresses. With a passion to “Love People and Love Clothes,” DressUp has its customers in mind with everything that they do. Offering new arrivals regularly, sale items, and much more, DressUp needs to be on your go-to list when it comes to online clothing shopping. About Clothing Website: Cotton On & Co. consists of 7 brands in one. They are based out of Australia but are a worldwide retailer trusted by millions all around the world. Also, with clothing options for women, men, and children, no one will be left out. Cotton On & Co. also offer free shipping on orders of $55 or more as well. And, when you subscribe to their mailing list, you will get 20% off your first order. So get ready for some significant savings on quality pieces. About Clothing Website: With savings of 30%-70% off of name brands and the latest fashion trends, it is easy to see why Nordstrom Rack made this list of the best clothing websites. With free shipping on orders over $100, you will also be able to save on shipping as well. Shop all of the name brands that you love and know that you are saving money while you do. About Clothing Website: Fashion should be unique and affordable. With Henly, you will be able to find clothing that is fashionable and hand-picked but isn’t going to break your bank. From dresses to footwear to accessories, you will be able to look your best. Check out the Henly rewards program for even more great savings. About Clothing Website: Designed for women, Cato is going to allow you to shop great deals on dresses, tops, accessories and more. With a wide variety of styles and sizes, you will be able to find the clothing that fits your unique look and style. 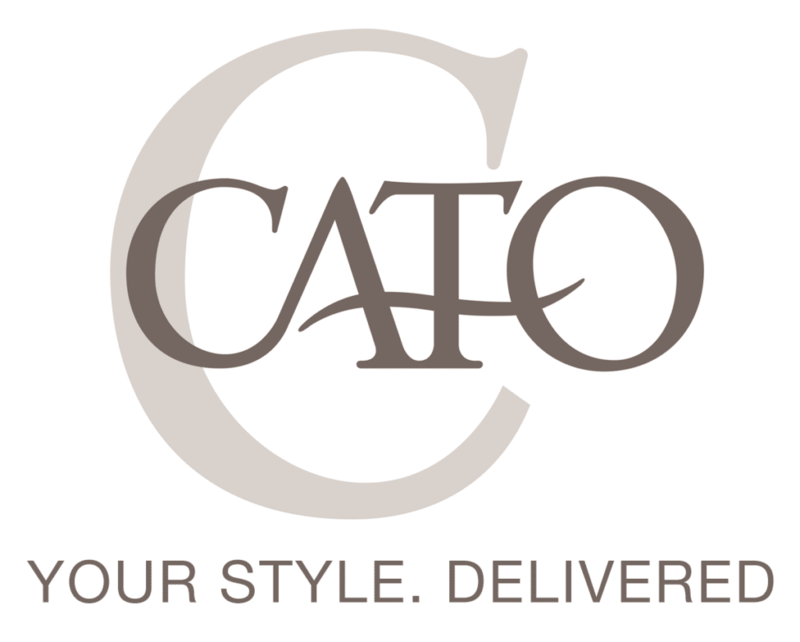 Also, if you have a Cato store near you, you can get any item shipped to the store for pickup at no cost to you. Check out all of the great style options that Cato offers and you will quickly see why they made this list. About Clothing Website: A favorite British retailer, Dorothy Perkins features classic pieces that stand the test of time. This women’s wear only site features everything from clothing to accessories to shoes. They also offer free shipping on orders over $50. If trendy pieces are not up your alley, Dorthy Perkins is a welcome respite. About Clothing Website: Ideel is a member’s only site (don’t worry though, the membership is free). The site offers limited-time sales on different designer brands that you can take advantage of. Men’s and women’s clothing deals are featured on the website, and often at discounts as steep as 70% off. For significantly discounted designer duds, Ideel is the perfect place to shop. About Clothing Website: Red Dress Boutique is going to allow you to find clothing that speaks directly to you. The site offers a variety of different women’s pieces like dresses, swimwear, accessories, and more. Also, with reasonably priced items and free shipping on orders over $50, you will also be able to feel good about the deals you are getting as well. About Clothing Website: Beyond the Rack is another membership-only shopping site (membership is free). The membership though gives you access to designer brands for men, women, and children’s clothing at up to 80% off. Sales are limited time events (often 48 hours), so shoppers need to stay on the alert to score deals. About Clothing Website: Need Supply Co. features both men’s and women’s clothing options. Also, the site offers a diverse range of clothing from both independent designers and established brands. So if you are looking for some options with your clothing, Need Supply Co. may be the right choice for you. Standard shipping is $7.95, but orders over $75 qualify for free shipping. About Clothing Website: Formerly a boutique store on eBay, the Lookbook Store is now a global Internet clothing store. The site features daily new arrivals, all at an affordable price. The site ships worldwide and economy shipping is free in the US. Find your next great look with Lookbook Store. About Clothing Website: Lulu’s offers a curated selection of hip women’s clothing, often in limited quantities. Prices vary, but the quality is always a hallmark of the company. Shipping is free for US orders over $50 and international orders over $150. Being able to find the perfect new outfit has never been easier with online shopping. However, with so many different online marketplaces it can be hard to find what you are looking for sometimes. That is why we created this list of the best clothing websites. This list will help you narrow down your search and help to connect you with some excellent shopping options. And, remember, you don’t have to settle on just one brand. Mix and match the pieces that speak to you. Have you already used one of these sites before? We would love to hear your feedback in the comments below.